The Barrington School District Board of Education meets on the second Monday of most months at Avon School. The public is invited to attend to discuss matters on the posted agenda and to bring up additional issues or concerns. During this month’s meeting, a number of residents attended to question changes to the district’s dress code (dozens of people have voted in the Bulletin poll; take a moment to vote if you haven’t already). Two parents spoke to the board about concerns over the use of ground up tires as mulch in the playground at Avon School. One noted the recycled rubber caused her significant headaches within 20 minutes of arriving at the playground that disappeared soon after she left. The parents noted recent scientific studies have called the safety of tire mulch into question. The federal Environmental Protection Agency has no definitive answers on the safety of tire mulch, but shares information from various conflicting reports. District Business Administrator Samuel L. Dutkin said steps had been taken independent of these questions being raised that could result in changes to the playground mulch. Superintendent Anthony Arcodia reported to the board that the first day of school went very smoothly — other than a bus arriving late. All buses were on time by the beginning of this week, he reported. He spoke particularly about the changes at Avon that resulted in parents being kept off the playground area while students lined up with the teachers. Arcodia said some parents were unhappy with the unexpected change, but that most understood the need for added security once the reasoning was explained. 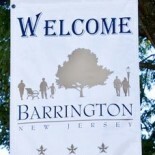 Arcodia and board president Michael Drumm also noted new Barrington Police Chief Dave Roberts was working with the district to implement new policies regarding periodic checks of the schools by police officers. Arcodia said a letter about the new policies would be sent home soon. Karl Goldstein of Bricks 4 Kidz presented a short description and demonstration of his Lego-based program that will soon begin at Avon School. The program is meant to help students better understand elements of science through building working machines, he said. Interested parents will have to pay for the program, which will run for about an hour after the end of the school day — most likely on Tuesdays. There will be 20 spots available for the program, although there is a possibility of more sections opening if demand is higher. Arcodia presented a plaque to Nancymay Healy, who is retiring after 17 years. Healy noted she learned a lot from the children she taught, and she would miss the job — but that she would never be a substitute. This entry was posted on September 12, 2013 by Barrington Bulletin in Safety, Schools and tagged dress code, school board, tire mulch.